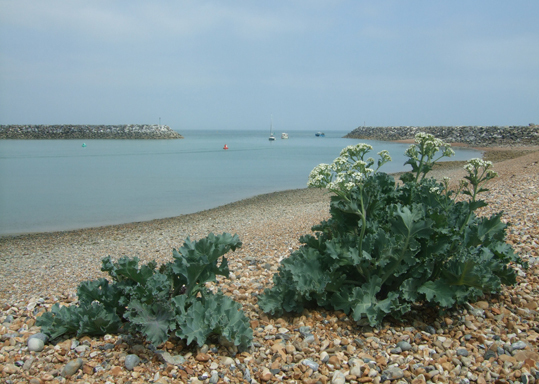 Sea kale grows wild all along the Sussex coast and I photographed this at the weekend when I was walking along a beach there. I must admit I was tempted to pick some and take it home to cook as well as photograph it, but I didn't because it is a protected plant. It does taste very nice though and you can grow it in your own garden if you have the patience.